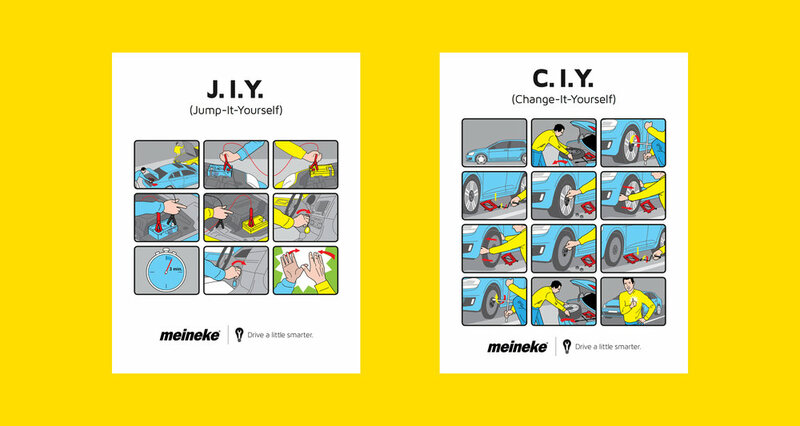 fully integrated campaign and a brand overhaul for Meineke Car Care. to make the brand feel more approachable. feel simple and easily digestible. print collateral, direct mail, photography, and illustration.